Summary: Abraham Lincoln narrates the story of his life, beginning with his birth in a one-room log cabin. 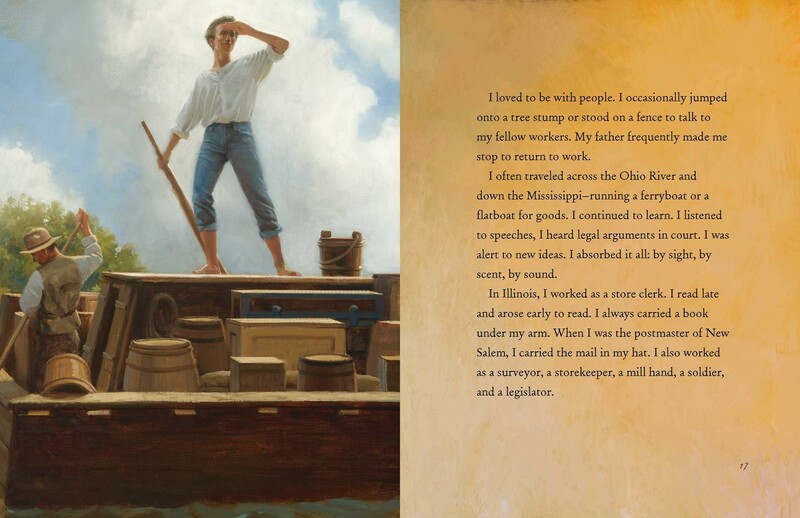 He tells of growing up in poverty, reading every book he could get his hands on, working at many different jobs until he was able to study law in Springfield, Illinois. From there, it’s a pretty quick hop to becoming involved in the fight against slavery, then President of the United States during the Civil War. The book ends with the Union’s victory, with no mention made of Lincoln’s assassination. The Gettysburg Address and a brief bibliography are included at the end. 32 pages; grades 1-4. 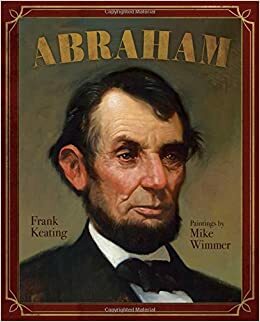 Pros: Told in a folksy voice interspersed with some of Lincoln’s own quotes, this would be a good introduction for primary grades. The paintings add realistic details. Cons: When George, Theodore, and Abraham have been published in the “Mount Rushmore Presidential series”, there’s not much element of surprise about what the next book will be.